Pregnancy is an exciting time for you and your partner. It can also be a little frightening – your body is changing and you’re responsible for another human being inside you. How can you guarantee everything goes well? Here are 10 tips for healthy pregnancy that will help you feel better. It might sound obvious but you really need to stop the bad habits. This means smoking and drinking alcohol during pregnancy. They can cause serious damage to your baby. Caffeine is OK if you only get a bit of it. If you’re a heavy coffee drinker, you might want to cut down your coffee consumption to one to two cups a day. You should make sure to eat regularly. Five to six balanced meals a day would be a good start. Just make sure you don’t use this as an excuse to eat unhealthy snacks – you also don’t need to eat a huge amount more just because you’re pregnant. So, what are the foods you should eat? You need plenty of protein and therefore, eat enough lean meat and use dairy products. You should also add legumes to your diet plan. In terms of vegetables, eat a lot of dark leafy greens and swap your potatoes to sweet potatoes. Fluid intake is another important building block of a healthy pregnancy. You should drink eight to 10 glasses of water a day. Water is the best choice – but you can occasionally add a few glasses of fruit juice to your diet. You don’t want to be stuck on your couch during pregnancy. Exercise is an important part of a healthy pregnancy. It can reduce stress and it’ll help you stall of things like the common cold. Proper exercise might even make giving birth easier. Walking is a good option for pregnant women – try to walk at least fifteen to twenty minutes every day. Depending on your location, you might also find special pregnancy exercise classes. These are a nice alternative if walking is not your thing. This are the best tips for healthy pregnancy that you have to follow in order to have a healthy baby. You don’t want your clothing to restrict your movement or make you feel uncomfortable. It’s important you don’t wear things too tight to ensure your blood flow remains normal. Buy comfortable and loose-fitting clothing. You can use Mothercare promo codes for finding maternity clothing that looks and feels good. Naps are great and when you’re pregnant, you should take advantage of them as much as possible. It’s important to get a good, eight-hour sleep every night but you can also nap a bit during the day. If you are feeling tired during the day, just lie down and have a 15-minute nap. It might also be a good idea to swap the chores around the house. You don’t want to expose your skin to chemicals – even if they aren’t determined to be super bad for you. Either useorganic cleaning products, wear protective gloves, or get the husband to do the scrubbing. 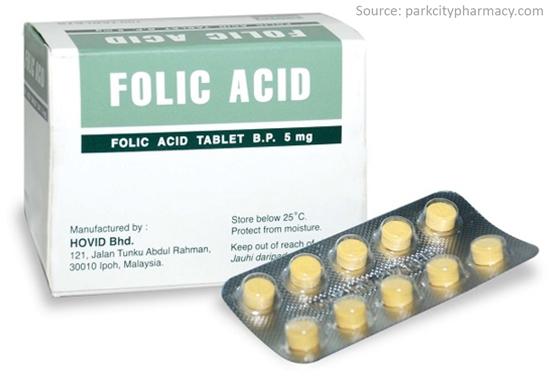 Folic acid is a good pregnancy supplement you should consider taking. The NHS recommends taking 400mg of folic acid a day at the start of the pregnancy. This could potentially protect the foetus from neural tube defects, such as spina bifida. Other vitamins you might want to supplement include vitamins D, C, A and E. Zinc, copper and iron are important vitamins for pregnant women. You could consider asking your doctor for suggestions on good prenatal vitamins that include many of the above vitamins in a single pill. If supplements for infants and babies interest you then you should definitely be checking this link for sure. Know about multivitamins for babies and toddlers. Road accidents are one of the most common causes of injury among pregnant women. When you’re sitting in the car, the seatbelt is especially tricky. It’s crucial you don’t stop wearing it or place it behind you – you need it for protection. The correct way to wear it is either on top or below your bump and not across it. You can even buy a special seatbelt solution if you drive a lot. In terms of driving, you can continue driving – just remember to take enough breaks and to stop driving if it start’s feeling uncomfortable. Make sure you regularly talk to your obstetrician or midwife about things that concern you. Don’t start vitamin supplements without consulting your doctor and do get in touch with them if you’re not feeling well. They are used to dealing things and won’t find your questions bothersome. A healthy pregnancy is possible with simple actions and some common sense. Remember to enjoy your pregnancy! Time goes by fast and you’ll miss this special bonding time with your baby soon enough. Let me know if you have more tips for healthy pregnancy and I would like to hear more and share with my readers.